RERA, is a set of laws, regulations and authority by the Government to ensure (i) accountability, (ii) sustainability, (iii) grievance redressal, specifically for real estate industry. Its implementation is providing a big relief and sense of security to the buyers. Setup RERA Tribunal for grievance redressal for respective State. As mentioned earlier, Every State would have its own RERA Rules, RERA authority for proper implementation of the RERA Act. So far, i.e. 08.11.2017, around 25 State have notified RERA Rules and setup RERA authority. Most of the State have setup RERA office in the capital of respective State. However, some of them is also exploring to setup in other part of State. RERA Act has prescribed specific provision for compliant or grievance redressal by the State RERA Authority. Every State has provided different form and manner to file RERA complaint. Some of the State has imposed some fees for filing complaint while other have not. 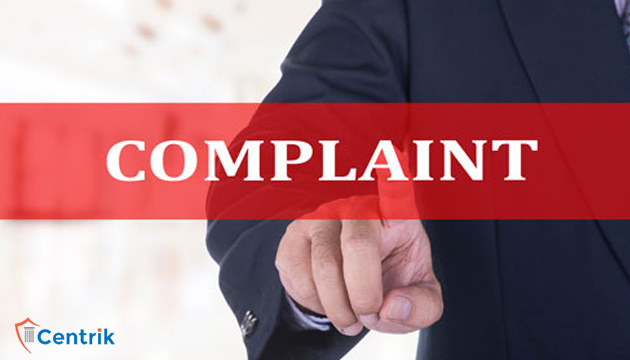 For filing RERA complaint and redressal of the complaint, the following information’s are generally required. After filing complain for compensation the RERA authority not follows the binding law and enforces unethical practice by non filing facts in ROZNAMA, in the presence of single party on hearings repeatedly, and instead to passed any offensive order enforced the complainer to withdraw on verbal instruction without issue any authenticate order, and put the issue through R.T.I and higher authority too. Non of the responsible Coram resolve the issue and not comply the R.T.I quarry after long due. What the next effective step to follow for a comman man? I had booked a flat in AGRANI HOMES PVT LTD in the year 2014 but i could not be able to posses it due to fund .i had paid some booking amount . But they are not refunding my Rs151000(1.51lacs) since 10.03.2014 and harassing me.The amount was tockend for IOB NAGAR, J block G1(SARARI) patna (Bihar)Danapur patna Bihar.kindly help. The refund shall be governed by the agreement or allotment letter between you and builder. It is necessary to provide the relevant documents to MAHA RERA personally or we can send it through by Courier ? You have to comply with the procedure to contact the Maha RERA. You can file a complaint to RERA if the Builder buyer agreement should have provisions for such things. I the undersigned booked the flat in Vitthal Residency, Samangaon Road, Nashik Road. As a token amount INR 4.25 was given. Builder was not able to construct the building as per his schedule discussed during the booking time nor giving the token amount return to us. After so many follow up, builder given two cheques of amount INR 2.5 Lakhs & INR 1.75 Lakhs. One cheque of INR 2.5 Lakhs is cleared. But second cheque of INR 1.75 not cleared nor the builder ready to pay the second cheque amount. I had a notary agreement from builder to pay the full amount of INR 4.25 Whereas he paid me only INR 2.5 Lakhs. During all these follow up we came to know that the builder was very very fraudy in nature, he had criminal background too & returned from central jail two times against the one home selling to two or more buyer. He made a fraud of INR 30.0 Crores recently & was in central jail in Nashik for 4 to 5 months between June 2017 to Dec 2017. I had a cheque & notary proof against him, suggest me to how to return my money from builder. In court already 10 to 12 cases are running against the builder since he had given the notary & cheques to other buyers also. Is any guaranteed solution to bring my money from builder soonest possible. Hi, I booked a flat in Hyderabad in May-2018. Agreement of sale happened in Jun-2018 (as per broucher) now builder is telling that broucher and orginal GHMC plan had changes in flat number and told me that my agreement needs to updated with new flat number to proceed further to home loan but he is not doing it, i have been following up builder for agreement update for last 2 months, he is not responding properly. Can I file a complaint in this case? yes, you can file case with RERA authority. I had booked a flat in Greater Noida,and paid approx 26 lakhs including my home loan EMI’s ,but the particular tower is not constructed by the builder.I have requested him several times to return my money ,but they are not returning my invested amount and my home loan EMI’s are continuing deducting .Can we file a complain in RERA,and we will be getting the solution. I have booked a Flat in Amrapali Centurian Park Terrece Homes in year 2011. I had paid first two installments in same year 2011. At the time of bank loan Amrapali officials refused to provide some documents which were required from DHFL for loan dispersal. Thereafter I have filed a case in consumer court at Karkardooma against Amrapali in year 2013.